Welcome to www.geosatelectronic.com As a provider of premium products, Promounts Canada has emerged in both local and international markets as one of the most trusted and sought after brands. Our high standards in quality and customer service are second to none. This website is one of the many ways we keep our customers informed about our new and upcoming line of products. Safety Guarantee for your expensive LCD Monitors & TVs! Min. distance to wall: 125mm/6"
Max. distance to wall: 750mm/29.5"
Easy install, installation screws included! Product Dim. 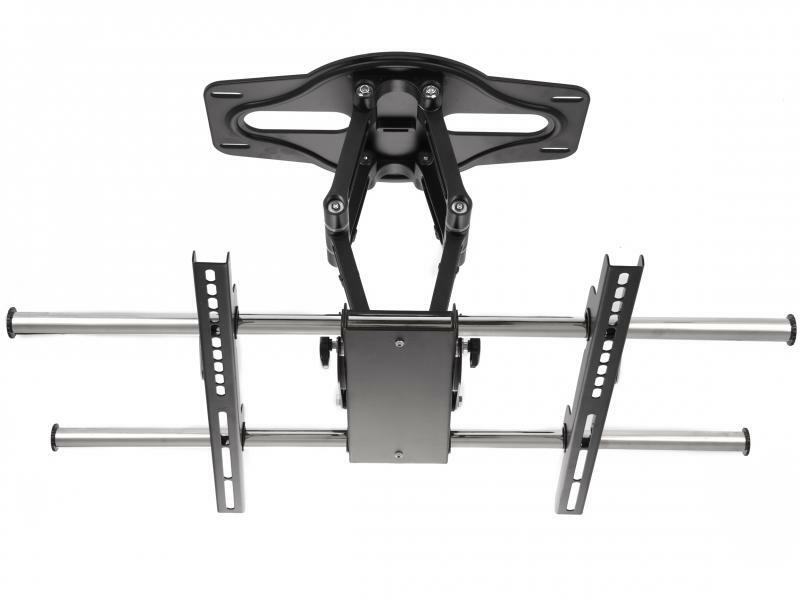 (WxHxD): 815x530x125-750mm / 32x21x5"
Max Mount (WxH): 770x480mm / 30.75x19"
Easy install, all installation screws are included! 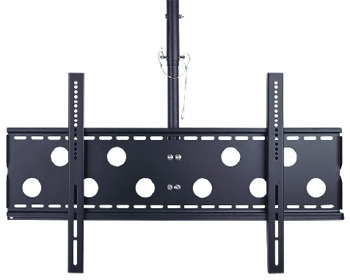 LCD & Plasma TV 360° full Motion Ceiling Mount 32-55"
The -CPLB102M is the 360° full motion ceiling mount bracket for 32" to 55" LCD/Plasma TVs. The mounted TV can swivel 360° and tilt up to 20°. The length of the hanging tube can vary in three steps: 60cm, 70cm, and 80cm (longer poles also available, see options below). As the tubes are hollow, the power and signal cables can be hidden inside, hence the ideal choice for big class rooms, meeting rooms, and hotel receptions. The CPLB102M is made from cold steel (2mm thickness) and powder coated in fashionable black. 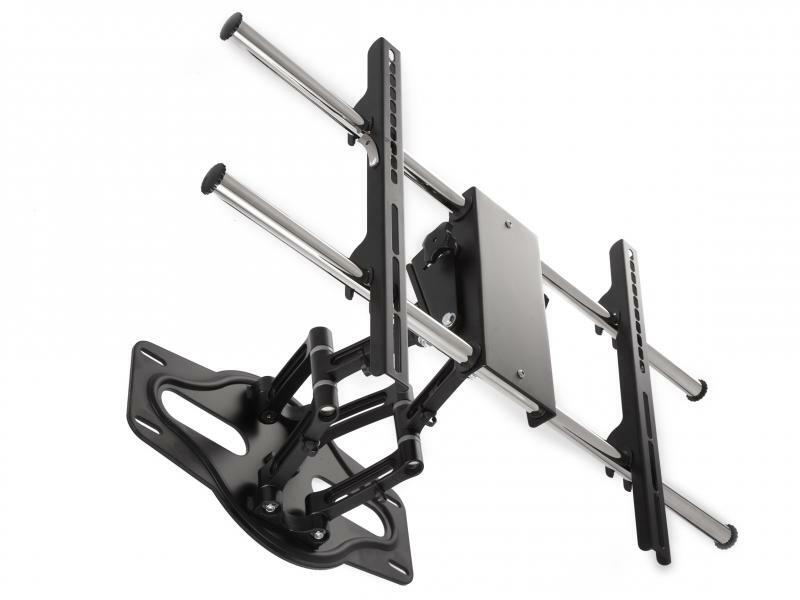 The CPLB102M ceiling mount is universally suitable for all those plasma/LCD TV with wall-mounting hole pattern within 720x500mm (Horizontal x Vertical), even if the TV screen size is bigger than 50". 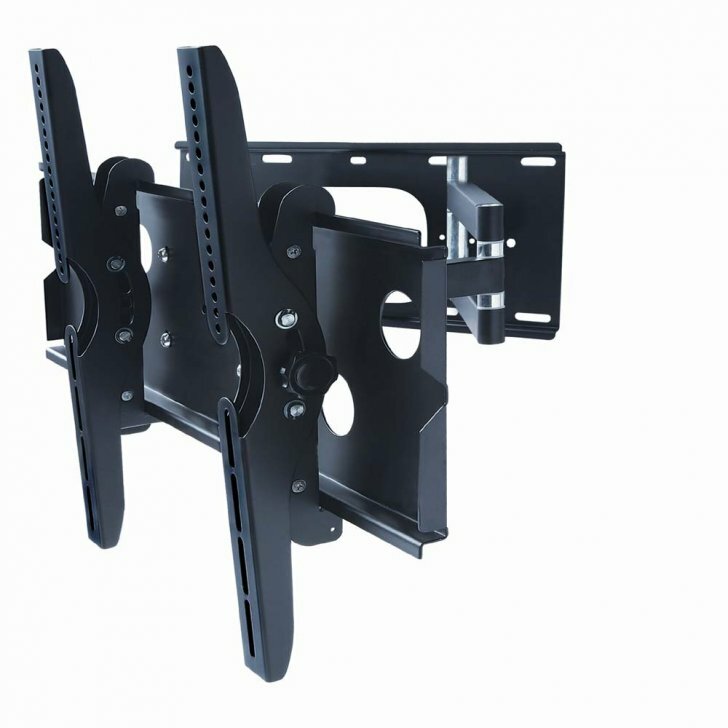 Suitable for all those plasma/LCD TVs with wall-mounting hole pattern within 720x500mm (Horizontal x Vertical), including those compatible with VESA 600x400, VESA 400x400, VESA 400x200 and VESA 200x200 mounting standard. How do I choose the right size ceiling/wall mount for my LCD/Plasma TV? Now select a bracket whose supported max. 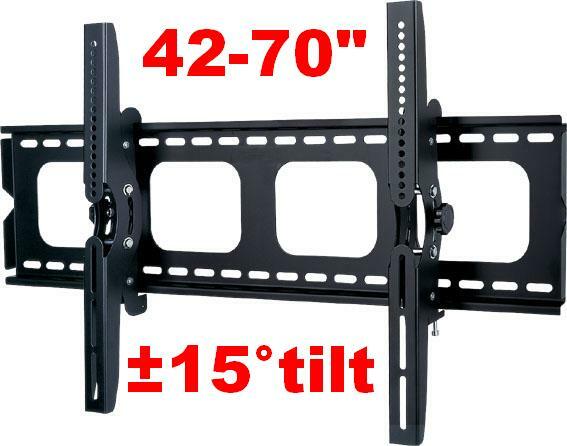 mounting-hole pattern is larger than one you have just measured; but the overall size should be smaller than the TV otherwise the bracket will be stick out from the back of the TV. 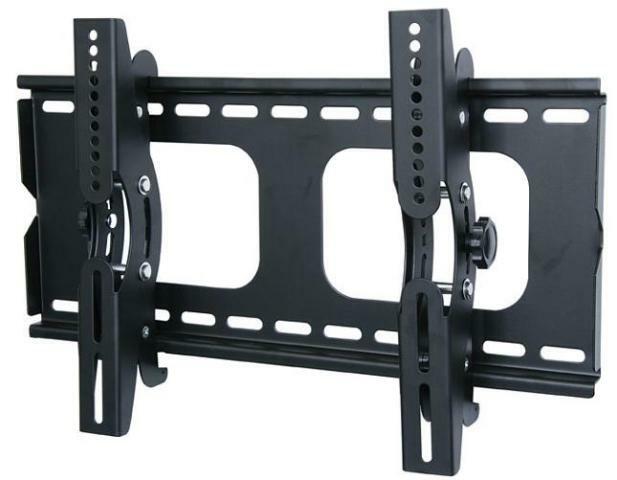 Antra stocks a wide range of high quality flat panel TV wall mount bracket kit, wholesale inquiries are welcome. 42", 46", 50", 52" , 60",70"
Tilt: -15 to +15 Degree! Easy install, all installation screws included! 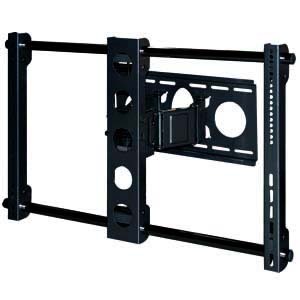 LCD TV Wall Mount Bracket Tilt 15° Swivel 180° 13-26"
Fits most LCD flat panel TVs and computer monitors ranging from 13" to 30"
GST will be charged to all our products shipping across Canada and PST to Ontario Residents only. No tax/brokerage will be charged to orders shipping to US. This product is warranted against defects in material or workmanship for one year. We may repair or replace it with a new or refurbished Product of the same or similar design. Dead on arrival unit is eligible for a full refund when the product is returned within 7 days. Please contact us for a RMA# before you return it for refund. We are not responsible for the shipping cost of the product being returned. Min. distance to wall: 81mm/3.25"
Max. 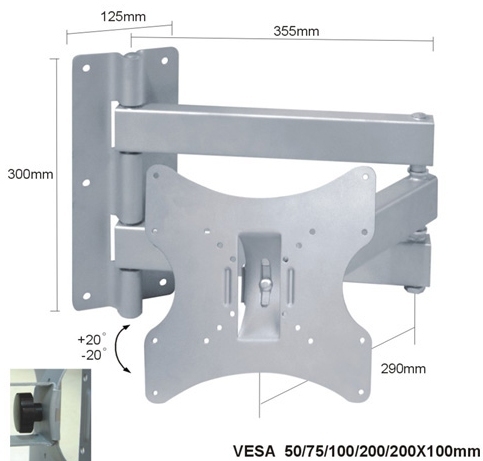 distance to wall: 410mm/16"
Extension Bar for VESA 100x200, 200x200 included. 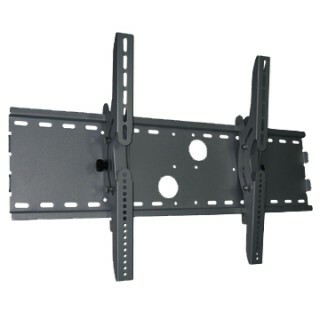 TV Size Capacity 37" - 50"
Profile Range 5.0" - 16.0"
LCD TV Heavy Duty Tilt Swivel Wall Mount Bracket 17"-32"